Let me say right now that I like the larger half inch binding on the front, more than the skinny quarter inch binding. The half inch binding is what I want to improve. I sewed on the binding like I always have, since I first learned how to sew binding about 5 years ago. I now realize I have been extraordinarily lucky as my bindings usually sewed on nicely and looked decent when I finished. Or, I did not know any better and now see how bad they are. My eyes were opened last night when I got a mini lesson in sewing on binding last night as we examined the binding I had sewn on last Saturday. Even though I had pinned like crazy the binding wavers ever so slightly and is uneven size on the front. My corners are not secure enough to make a crisp mitered corner. They are looking rounded. 1. Should I just sew it on for the sewing bee quilt show on Saturday as is? Once on I will never take it apart as I never undo what is done. Finished is better than perfect. 2. Should I leave it un-sewn and just pin like heck as no one will be able to see it unfinished since it will be against a wall. I can then take apart after the show and do it right. I would then have time to take a private lesson binding from Kay Isbell a professional binder for local area long armers. I am on vacation next week but all time has been allotted for painting and fixing up projects around the house and I did not leave more time for sewing other than sewing on this binding at night. What is my personal standard of accuracy and perfection? 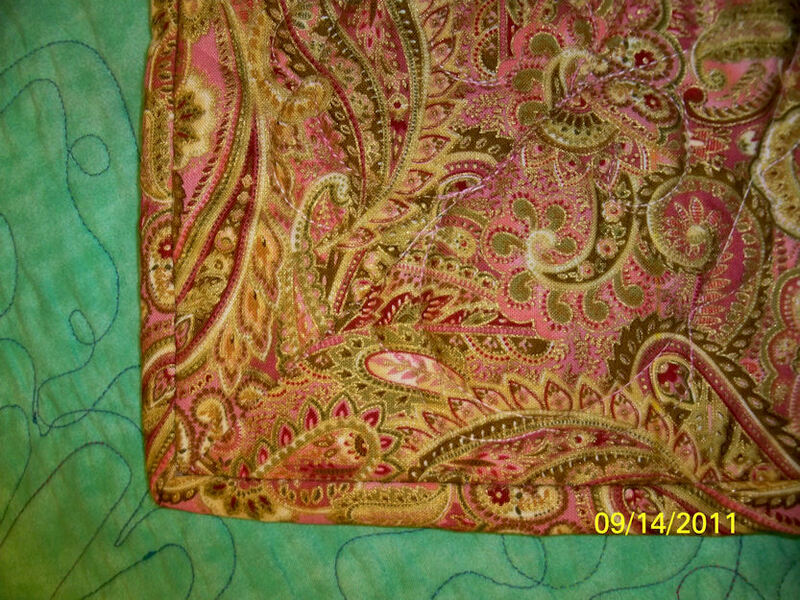 Will I accept the flaws in my otherwise almost perfect quilt? I now understand why binding knock out a quilt from completion in a quilt show. AS I posted previously I am recuperating from the Saturday Sew In All Day Session. I have decided I have gotten really old cause I took naps all day Sunday to rest up to go to work. The only other quilting I have been doing is having a running conversation via comments and emails with Annie Smith of QUILTING STASH PODCAST about judging in a quilt show, copying quilts and copy-rights. I have found it very interesting and Annie is so knowledgeable you just have to learn from her. Right now Annie is offering opportunities to have her evaluate your quilting for free. She is also restructured her on line quilting classes so that it is user friendly and allows the online quilter to work at her own pace. I am thinking of taking the class on color and fabric selection. Her classes are perfect for someone who wants to improve their quilting. This is all for now, cause I got to get ready for work. 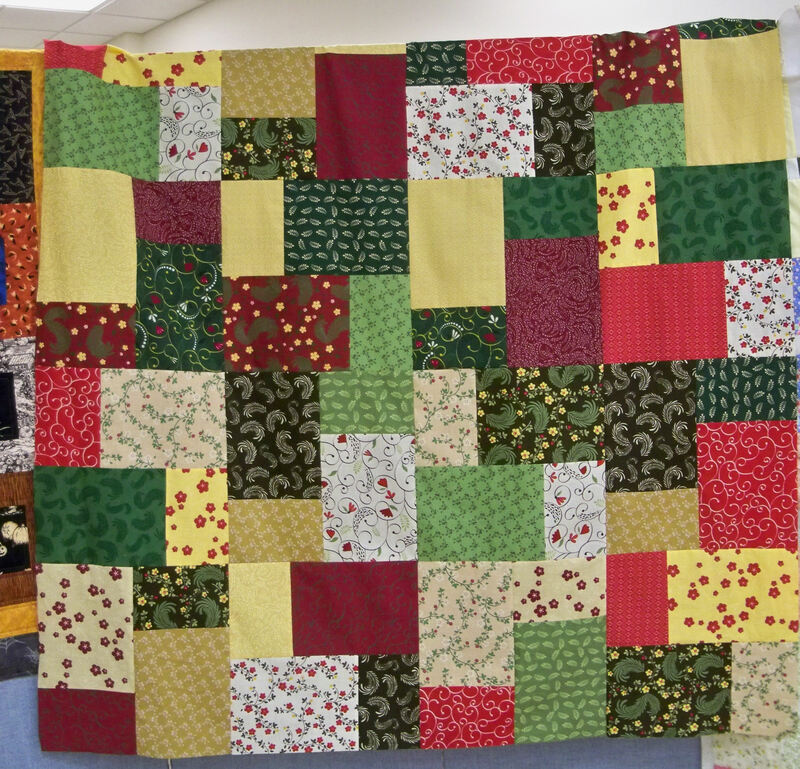 Donated to our charity quilt project -- made from fat quarters... Love it! I went to a Saturday Sew-In retreat yesterday. I had looked forward to this day all month and was not going to miss it. I had slept poorly the night before but I was determined to be there all day, because I was in the mood to sew. I have not had the chance to sew for the previous couple of weeks. The first project I worked on was adding binding on my quilt. It took twice as much time as usual to apply my binding to my quilt. I kept wandering off to see everyone else projects. Of course, I also spent time at the pot luck buffet table too. My second project did not go too well. I had packed up the quilt top by rolling it on batting I was using as my design wall. I thought that by rolling my quilt top on the batting it would be protected. I opened my quilt top up and you can see the mess it was. I had to re-press the entire quilt top, before, I could assemble it. This was not the first time I have had problem trying to get a quilt top to a retreat so that I can work on it. The quilt top always arrives crunched and messed up. How do you transport half assembled quilt tops? I have tried rolling up the quilt top on a pool noodle. I tried putting it on a flannel tablecloth. Any way, I have tried to transport my partially assembled quilt top results in more work and a crumbled top. I am to the point where I do not even want to try and prep my quilts unless I find a better method for transport. I now have the entire top assembled and will be dropping it off to the charity quilter this week. The third project I worked on was to apply borders on assembled quilt tops. They too will be dropped off at the quilters. 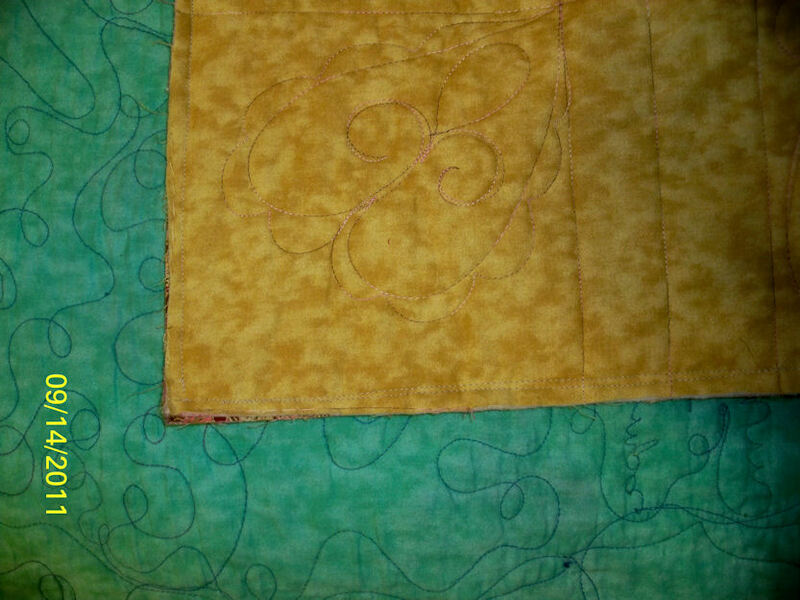 I have one more project to work on then my part of the charity quilts will be finished, except for binding the quilts. We plan to hand stitch the bindings and some will be applied by machine. SPENT Saturday at an all-day sewing session… (Pictures to come.) Coupled with lack of sleep due to a darling young boy who is sweet as pie during the day light but turns into a mini monster at night, I have not had more than three hours sleep for the last four nights. My blog and podcast entries will be coming soon, but not unless there are some changes to life. Have fun quilting. Gwen met Mary Schafer in 1977 when she was treated to the best bed turning trunk show she had ever seen before. Gwen and Mary formed a friendship with Mary. From Mary, Gwen learned to value old, antique quilts for the history, information, the designs and patterns they hold. Gwen and Mary curated and sponsored several quilt shows through the 80s and 90s. 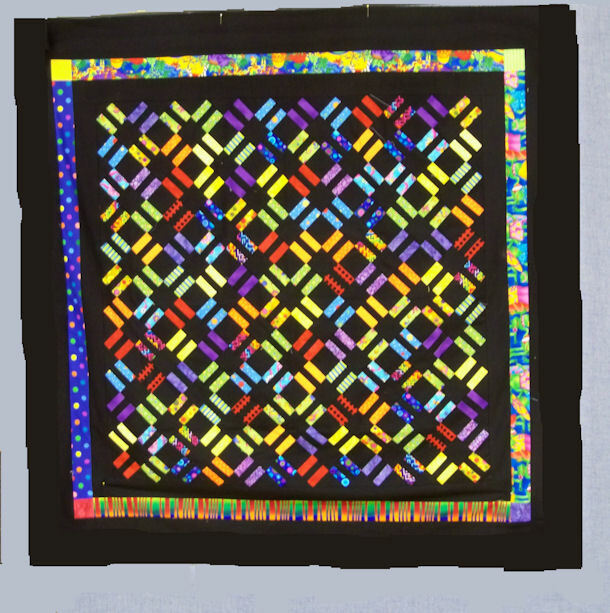 They often made quilts separately and together. They worked in tandem making the same pattern at the same time, copying antique patterns. Mary frequently reproduced antique quilt patterns. In this book Gwen wrote a loving tribute to her friend and her passion with quilts, making and researching of quilts. Mary kept correspondence with several of the noted quilt historians of her time, Cruesta Benberry and Delores Hinson, Betty Harriman. Gwen, tracks the quilt revivals in the 20th century past and current as a lead-in to an overview of Mary’s life work as a quilt historian and quilter. 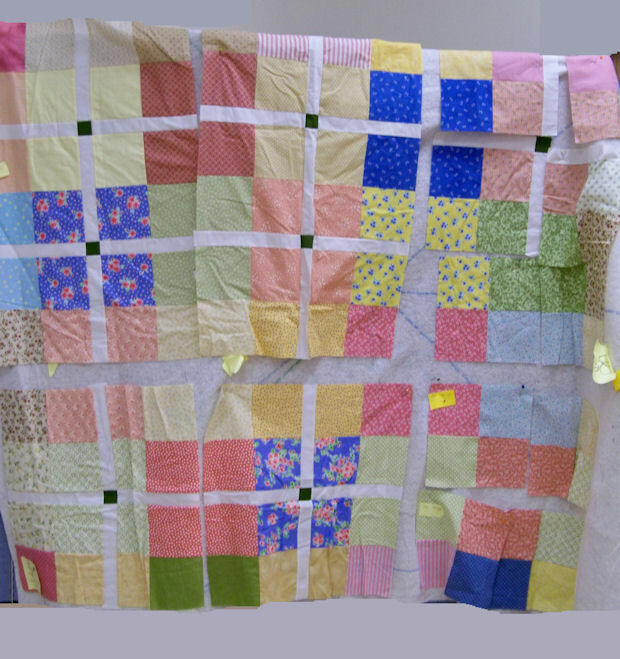 Much of Mary’s quilts ( 209 quilts,) the information she gathered, the correspondence she kept was donated to MICHIGAN STATE QUILT MUSEUM and The Alliance for American Quilts, MATRIX: The Center for Humane Arts, Letters and Social Sciences Online at Michigan State University in collaboration with an array of individual and institutional contributors. Mary immigrated from Austria-Hungry with her family in 1914, at the age of four. She had been born in Tarany, Somogy County in 1910. Mary’s father migrated first to Brazil then to the USA and brought his family to a home he had purchased in 1914. Mary’s mother died soon after they immigrated and for a time her father has her stay in an orphanage, while he tried to get back to sleep. In 1920 Mary and her family moved to Flint MI when he found work with General Motors. Mary learned to sew for the women in the neighborhood, where she grew up. Mary was made to quit school at the age of 15 and go to work in her father’s business, The Flint Creamery. She worked as the bookkeeper and in the office, but she also washed bottles for the milk. Her father, as an old world immigrant, tried to find Mary a husband, but Mary refused to marry him and instead accepted the proposal of a neighbor-boy, Fred Schafer. They married in June of 1929, over the objections of her father. They later worked for Mary’s father when they both lost their jobs during the Depression. Mary gave birth to her son in 1934, and finally Fred went back to his job at GM. The bought their first home and she continued to live there after Fred’s death. Mary’s first contact with quilting was when she bought a quilt kit in 1949, but she did not really start quilting until 1952 when she bought a quilt and actually finished it. What got Mary started on investigating when she found a old quilt being used by her son as a beach blanket. 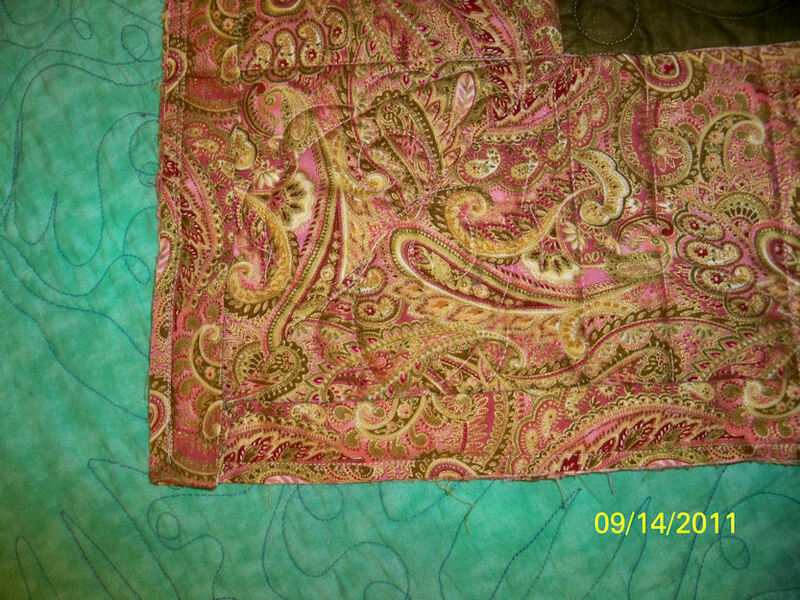 She was not able to salvage much of the original quilt, but investigated the quilt’s pattern and replicated it. She had to learn how to draft the pattern in order to replicate it was a new challenge for her. 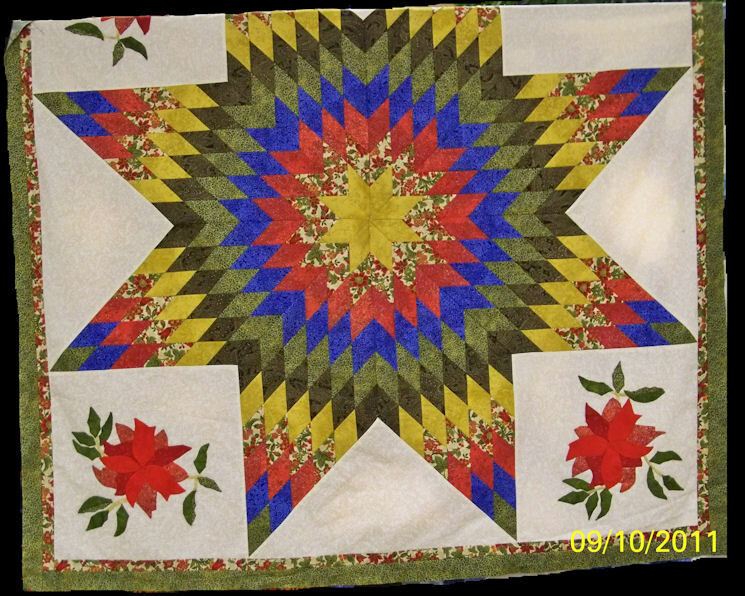 Mary started corresponding with other quilters/ quilt historians in her effort to learn more about her quilt and other quilts and quilting questions that arose. ( She wrote to these quilters after they were highlighted or wrote articles in the few quilting magazines of the day.) She developed active snail mail correspondence, I bet she would have loved the speed of the internet and been an avid blogger to help her investigate her quilts. Mary was at a disadvantage when it came to investigating her quilts because there were so few books, magazine articles or any knowledgeable study of quilts up to that time. Today we are lucky in that there are museums, quilt study organizations that can help us investigate information. It was Mary’s generation that spurred such study onwards. 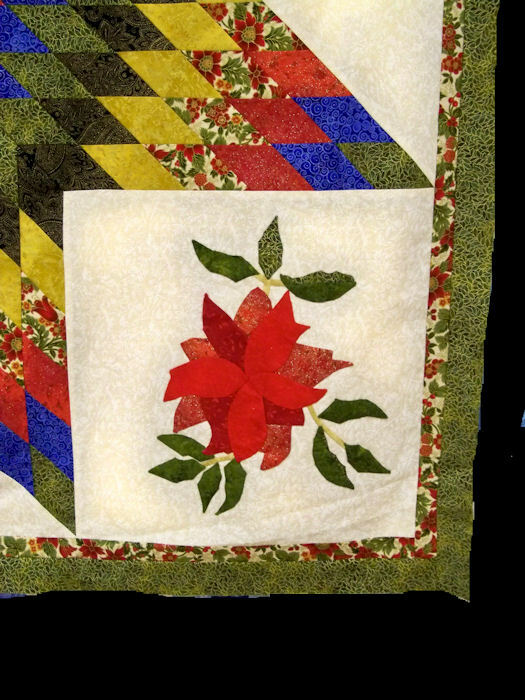 Mary and a group of other quilt historians started making patterns from the antique quilts they found. They did it for the love of quilting, not for money, they became “quilt hunters.” (Famous quilt makers of the era: Gypsy Rose Lee, June Havoc, Faye Emerson, fashion designer, and actress Celeste Holmes, all active in their own quilting bee.) Mary and her other quilt historian friends actively tried to track down the patterns pioneer quilters and of the various magazine quilt designers, Nancy Cabot, Ruby Short McKim, and Nancy Page. Today’s quilter’s have the rich quilt histories to experience because of the work of these women. From my reading I discovered that practically each state had a woman that worked to investigate antique quilts, their patterns and the quilters who made them. Along with replicating quilts they maintained an active correspondence with each other, exchanging quilt patterns and discussing their quilt studies. What amazed me was is they did this without the luxury of computers, Xerox machines, scanners and the Internet. Modern quilters would be advised to take some time to look up the quilt historians and quilt museums/ study groups in their state and find out what they can learn about them. Let me know who is the quilt historian or quilt study group in your state, I would be interested in knowing who they are…….. AND YES, THERE IS A PODCAST COMING…. SOON.